When it comes to teaching people, it’s often the detail that counts and more is always better. Being able to share your ideas and knowledge with a large audience can be difficult but a huge benefit. With the Optoma DC350, you simply position items under the camera, connect it to a projector and show everything on the big screen live as it happens. Information becomes clear and everyone shares your vision. The DC350 features a 5-megapixel sensor, 40x zoom and 30 frames-per-second video (at full resolution) for stunning image quality and performance allowing you to see detail often not visible to the human eye. Take photos or video using the camera function and include them in future presentation – it’s all so easy. 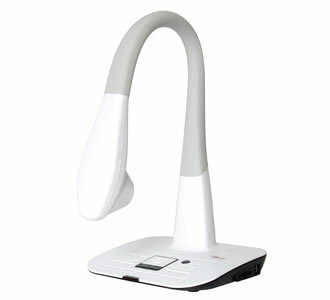 Create more engaging lesson content by easily capturing images, video and audio with the DC350 Document Camera. You can even take a video of a science experiment with the document camera, save it on your PC/Laptop via USB or save to a SD Card and use it in your next class and students can record their demonstrations during presentations for later review. The DC350 is powerful, robust and full of useful features that will revolutionise any classroom lessons or meeting room presentations. DC350 – Enhancing the way we communicate. Not all of us are experts when it comes to understanding new equipment, however, the DC350 is simple to use and easy to understand. Just turn on the Document Camera (Visualiser) connect it to a projector or panel and you are ready to go. Unlike many other Document Cameras, the main controls are on the base unit, so even if you lose the remote control the education does not stop. Display more detail with the latest 5MP CMOS sensor and full 720p output. Powerful 40x Zoom Capabilities for ultra-detail. 30 frames-per-second video at full resolution. 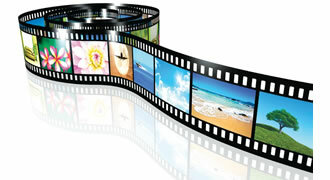 Amazing quality image and video performance helps you to attract your audience’s attention effectively. Easily save images or video directly to SD/SDHC card. Recall your saved material from SD card anytime without connecting to a PC. Images can be saved at 0.8MP, 2MP, 5MP or 12MP for maximum flexibility and also quality. It takes just a USB cable to connect your PC/Laptop to the DC350. Start sharing instantly and do editing together live as a class through Smart DC! “Supplied with the DC350” Use all the enhanced drawing and annotation tools! You can also turn your lesson into video clips through the recording feature and save to either you PC/Laptop or to a SD Card. You can also use Skype to connect to another school and share your ideas. 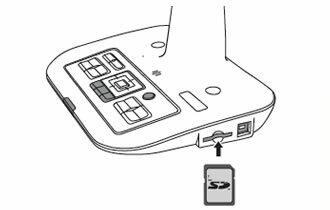 Sometimes we want to keep a memory of what the camera sees: by pressing the “SNAP” button on the remote control, or base unit images and video can be stored direct to a SD CARD. To review your images just hit the playback button. For permanent storage on a hard drive just connect a PC/Laptop using the supplied USB cable and software or save direct to your SD Card then you can review anytime anywhere. With an incredibly flexible neck, the DC350 is designed to help teachers and students with its ability to flex and bend, so allowing you to get up-close and personal to capture that perfect image. With the DC350 you have ultimate control. 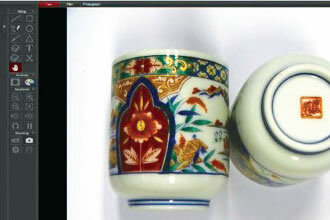 Want to freeze something under the camera whilst handing out the original, or perhaps compare items using the Picture-in-Picture “PIP” so that comparisons can be made between one item and another. 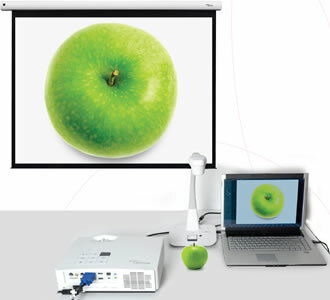 It’s all easy for the Optoma DC350 Document Camera (Visualiser). The built in microphone enables easy video with audio recording to create multimedia content for lessons and student presentations. 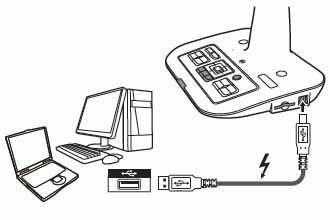 The DC350 can also power up from a single USB port if you don’t have access to a power plug, this also cuts down on cable mess and also makes the DC350 more flexible to move around a classroom or meeting room. Innovative dual-lamp system, with its new lamp, helps to make this body compact while providing 8,500lm of brightness, with 220-240V AC operation. When in ‘Lamp Relay’ mode, the system also eliminates any interruptions if a lamp should fail and enables 24/7 projection. The Panasonic PT-DZ870 is an incredibly bright WUXGA 1-chip DLP™ projector and features a dynamic RGB Booster to provide high picture quality, colour reproduction, and DIGITAL LINK for all-in-one connectivity.